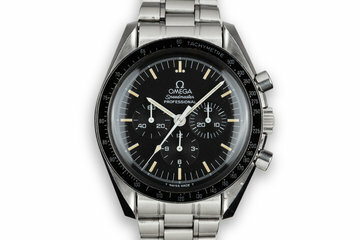 Excellent case that shows light wear from use. 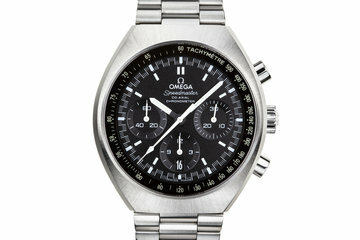 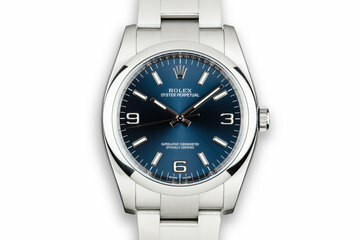 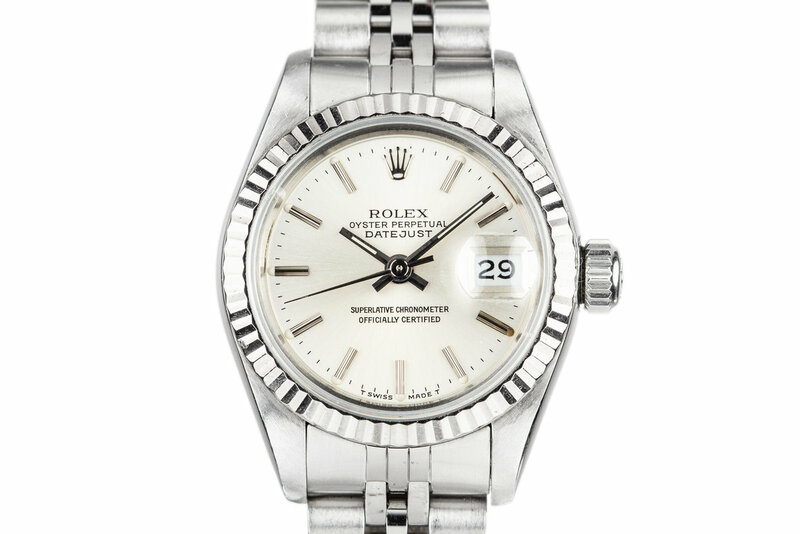 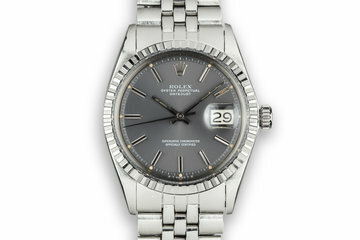 Comes with an excellent 18K white gold bezel.There is a small chip on the crystal at the 10 o’clock edge. 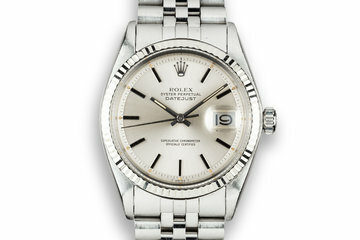 Excellent d link jubilee bracelet with 17 links and 568 end links. 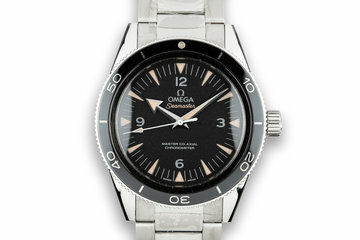 Excellent silver tritium dial with creamy markers and matching hands.